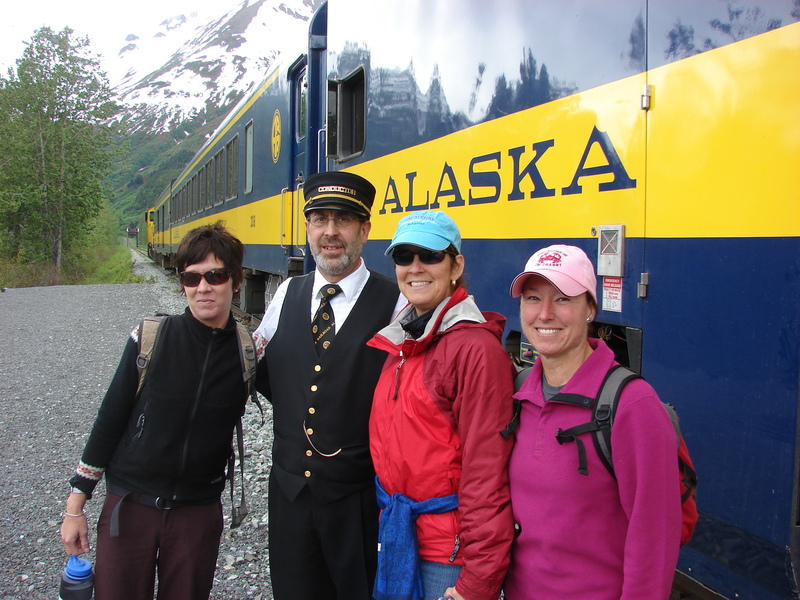 About 4 years ago or so, the Alaska Railroad introduced a Whistle Stop Train where tourists and locals alike can hop on the train and get off at any number of stops in the backcountry, spend a few hours or up to 4 days, then hop back on for a ride back to civilization. My friend Sue, whom you may remember from the canoe trip, had planned to take her visiting sister on this trip and asked if I’d like to join them and since I had yet to ride the Whistle Stop Train, I said yes. So, along with another friend, the four of us drove down to Portage yesterday to catch the train out to the first stop, which is at the Spencer Glacier. What fun it is to ride a train! 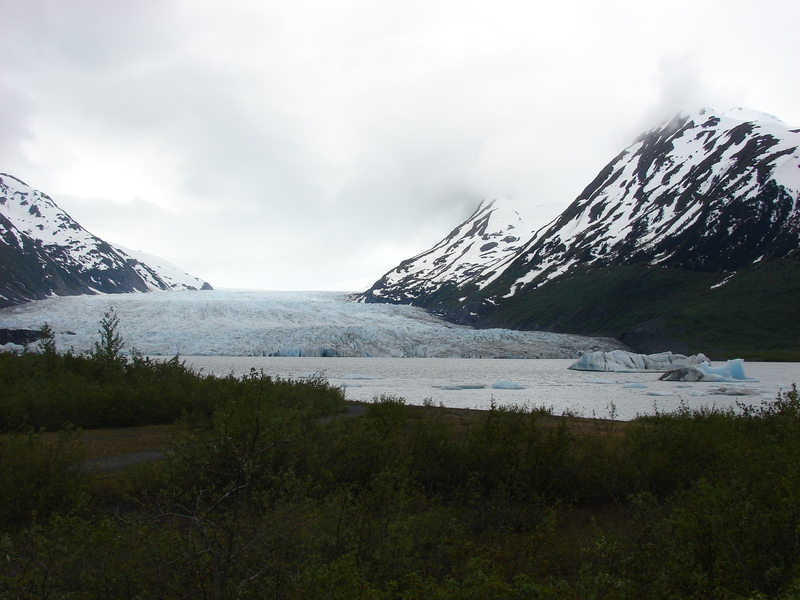 Our trip took us just 20 minutes up the valley along the glacier fed river to the Spencer Glacier Whistle Stop. Most of the folks on the train disembarked at this point as they were all headed out on a rafting float trip which would take them down river and back to our starting point. 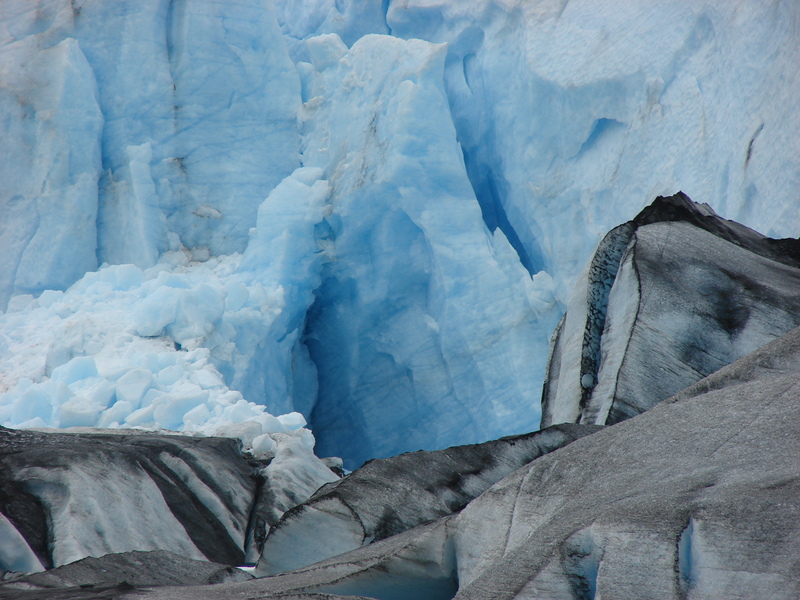 The four of us were left alone to walk the trail out to and along side the Glacier. Much to Jane’s chagrin (Jane is the visiting sister from Florida) we did not see any moose along the way, but I think she was most pleased to see her first glacier. 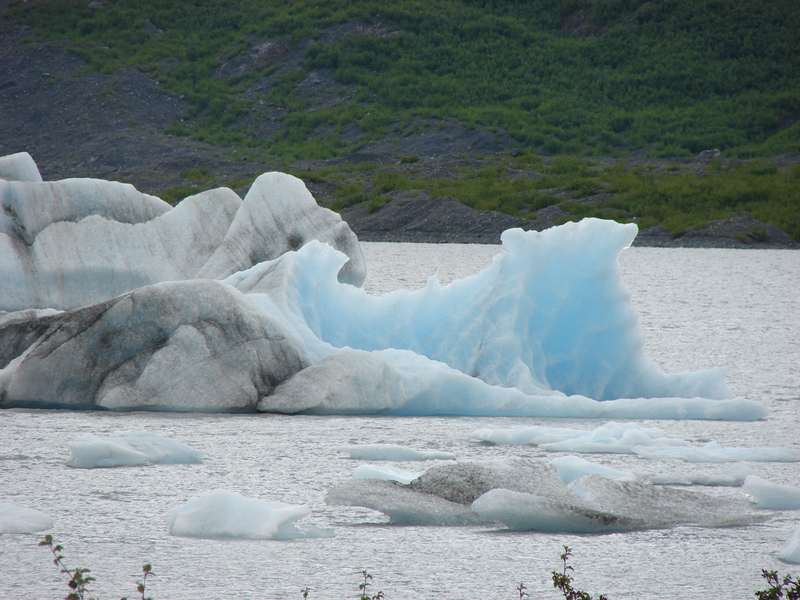 One of the high points of the 2.5 hours we had before the train came back by, was seeing the glacier calve. For those of you not in the know, calving is when a piece of the end of the glacier breaks off and falls into the water making a very loud sound like a rifle report at close range and a huge wave. Of course another high point for me were the four geocaches I was able to find and log while there. Tomorrow morning I leave for Denali National Park with Aaron, Misty, and Mosely. I am beside myself with excitement, so stay tuned.